The British International Studies Association-Higher Education Academy Award for Excellence in Teaching International Studies (the UK’s national IR teaching prize). 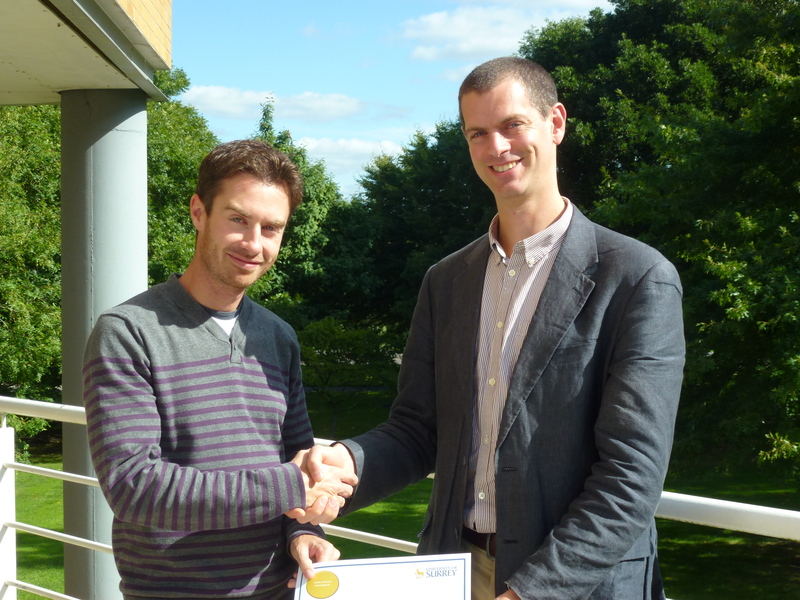 The Vice-Chancellor’s Faculty Award for Teaching Excellence (at the University of Surrey). I also research learning and teaching issues, presenting at conferences, publishing articles (e.g. see this blog post summary) and a textbook. Supervised two excellent PhD students to completion: Ciaran Gillespie and Samantha Cooke. Both secured academic jobs shortly after submitting their theses. Taught a variety of modules at all levels. Most frequently: ‘Introduction to International Relations’ (first year), ‘Security Studies’ (second year), ‘American Foreign Policy’ (third year), ‘US Foreign Policy’ (postgraduate), ‘Critical Terrorism and Security Studies’ (postgraduate). But also: ‘Introduction to Politics and International Relations’ (first year), ‘Contemporary International History’ (first year), ‘Ideas and Identity in the War on Terror’ (second year), ‘Negotiating Politics’ (third year), ‘Key Issues in International Politics’ (postgraduate), ‘International Relations Theories’ (postgraduate) … as well as contributing lectures to modules such as Foreign Policy Analysis, Research Skills, Research Methods, Dissertation Skills, and British Politics. Given talks at local schools for outreach and marketing purposes, as well as spending a week at in a secondary school as part of the Researchers in Residence scheme.